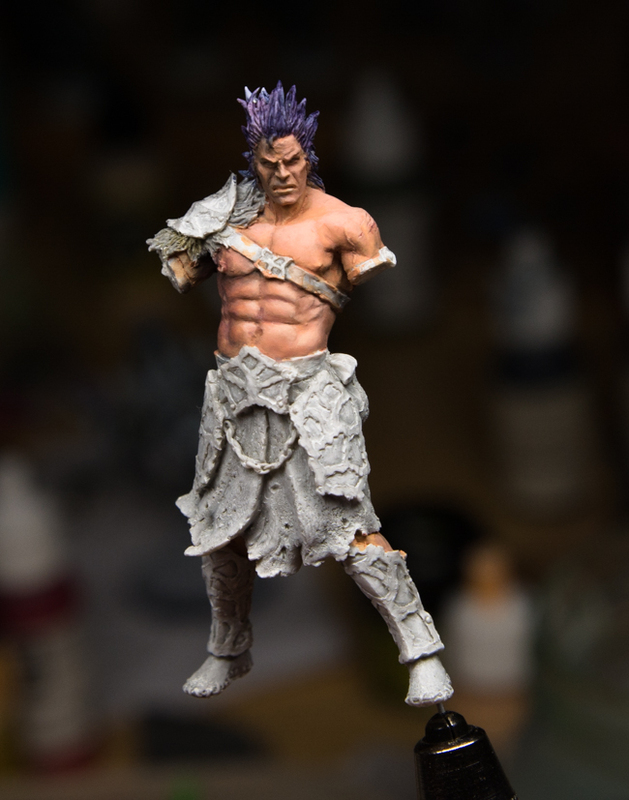 I am the latest addition to Minipainting.se, I have been painting miniatures from 2010 and enjoying it immensely. I Have mostly been active on coolminiornot before as Kretcher, My real name is John. I am very happy to have this chance to join the people here at minipainting.se as it will help me to improve my skills with other equally crazy people that also have a wish to improve. To present myself I will give links to some off my older stuff (they are really not good) that will show how far I have goon so far in my painting. http://www.coolminiornot.com/280405 a little bit later still not good but better (photo still is bad). http://www.coolminiornot.com/360554 and finally a new picture where I am now and hopefully I will improve more from now on. I will post some of my new work here and also try to fit some of the things I learn into the text, both from failures and success. Hopefully there can be some things that will be interesting for people to watch.